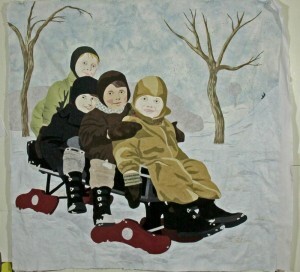 Would you like to create a fabric picture of your kids at the lake, or of a friend out walking? Then this workshop is for you. 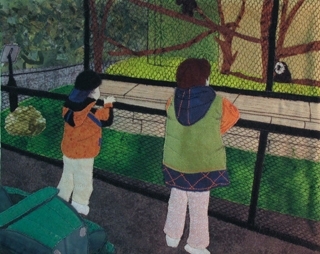 It is designed to teach students how to create a landscape, but also how to include people in the landscape. Students will work from their own photos. Assistance will be provided in choosing photos and getting them ready, for the class. Quilt painted after quilting by Sue Kelly. 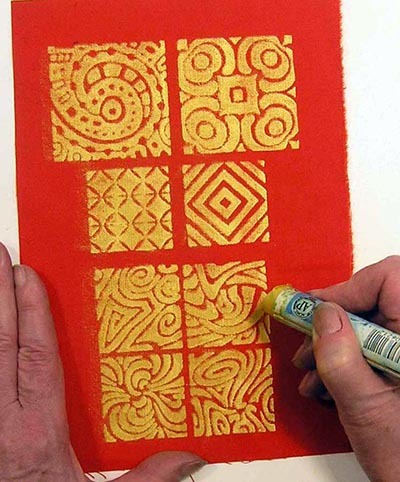 Discover all the different ways Shiva paint sticks can be used to create original designs. 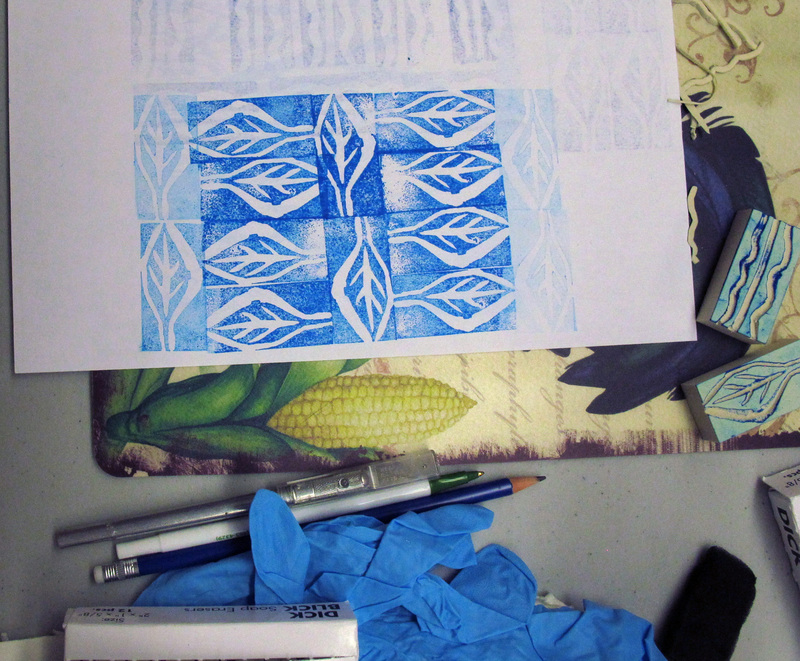 Drawing freehand, using masks and stencils, and creating rubbings. Learn how to create a painted quilt without doing any piecing! 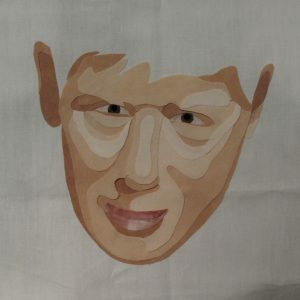 Have you ever wanted to create a portrait of a friend, or family member, in fabric, but you don’t know where to start? Or have a fear of not being able to create a good likeness? Then this is the workshop for you. In this workshop, you will create a head and shoulders fabric portrait from a photo of your choice using a fusible appliqué method. Contact Keystone Quilts at 204-667-5833 to register. Contact Valerie Wilson to register. 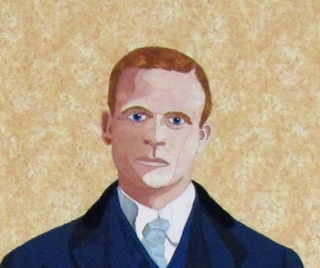 Students will learn to create their own pattern and portrait. 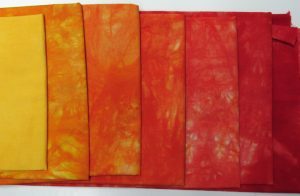 Learn how to create gradations of a colour from light to dark and how to create a luscious rainbow of colours. Come and play, and create wonderful colourful fabrics. You will go home with wonderful memories and some fabulous hand-dyed fabrics. 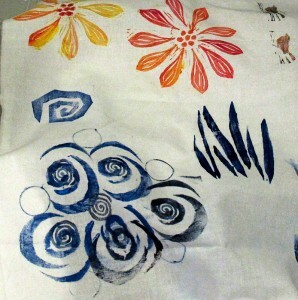 This workshop uses Procion MX dyes. Kit fee: $15 for dyes and other supplies. In this class, you will create a lovely woven fabric clutch purse perfect for a night out or lunch with friends! 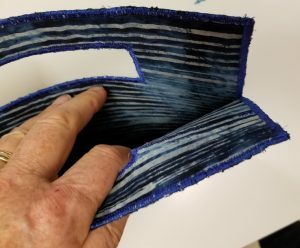 This purse is created with thin strips of fabric and is easy and fun to make. Valerie requires a minimum of one lecture and one workshop if travelling more than 100 miles from home. Workshops (for up to 15 students): $400 & GST. Additional students may be added at $20.00 per student, per day, up to a maximum of 20 students, providing the classroom space is adequate. Have you ever wanted to create a portrait of a friend, or family member, in fabric, but you don’t know where to start? Or have a fear of not being able to create a good likeness? This is the workshop for you. In the 2 day workshop, most students (depending on the complexity of their design) will complete the fabric placement for their portrait. Stitching techniques will be demonstrated. Some students will start the stitching/thread painting. In the 3 day workshop, all students will have completed the fabric placement, and have started stitching and thread painting their portraits. Comprehensive notes, with step by step instructions and abundance of photos, are provided for both workshops. I loved when the faces started appearing in the fabric and bits of cloth became people. The trunk show was also a highlight. I’ve never done this type of quilting so just gaining this knowledge has boosted my confidence in trying it myself. I’ve also learned about fabric values. This alone is great! The hands on one on one advice and attention. That it is possible to do this! The demo on the eyes. Great presenter and teacher. This workshop is for you. It is designed to teach students how to create a landscape, but also how to include people in the same. Students will work from their own photos. Assistance will be provided with choosing photos and getting them ready for the class. This workshop is designed for a small project. The maximum size of the piece is to be 18” in either height or width so that studetns can get most or all of the picture done in class. If students would like to do a larger project, I would recommend a 2-day workshop so that the students can get the background completed, and have time add the people to the piece. If so desired, the instructor can provide a design for the workshop. This workshop is designed with a focus of stamping on fabric but would be of interest to scrapbookers as well. Students will learn how to create their own designs on fabric and will be given suggestions on how to use these fabrics in their quilts. 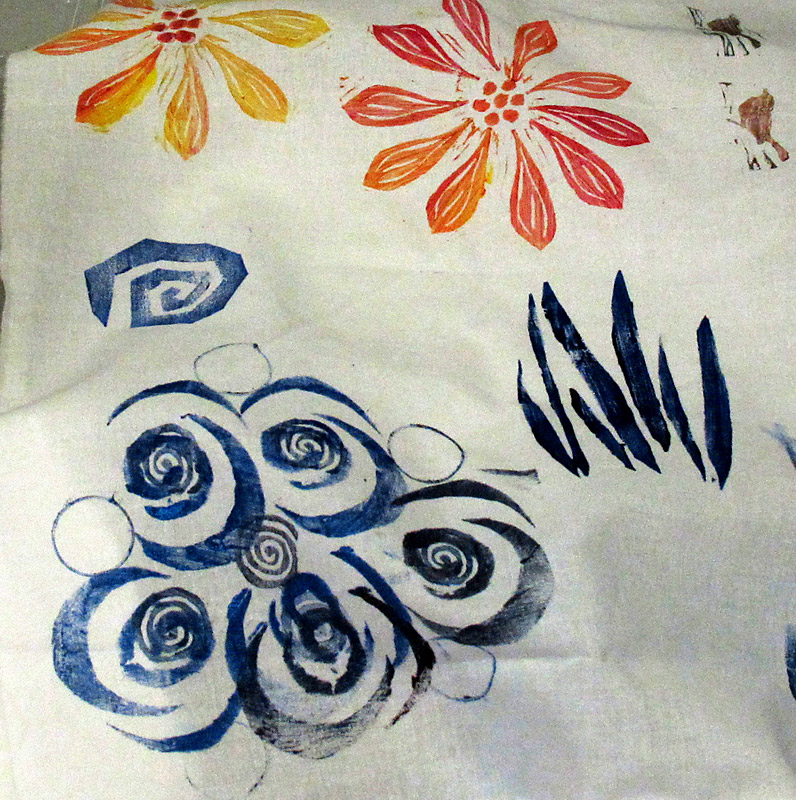 students creating their own stamp designs using various materials and then using these stamps to make designs on fabric. I will provide stamp materials, and cutting tools, for creating the stamps. There will be an opportunity for students to purchase a set of cutting tools/additional stamp supplies, after the workshop, if they should wish to do so. Kit fee – $16 covers printing supplies and paint/ink. 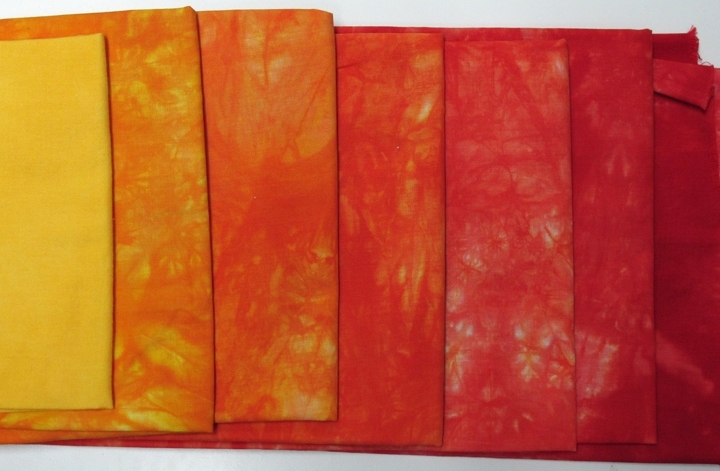 Students will go home with wonderful memories and some fabulous hand-dyed fabrics. 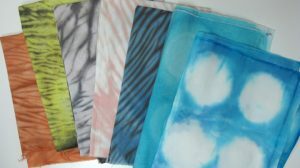 This workshop uses Procion MX dyes. 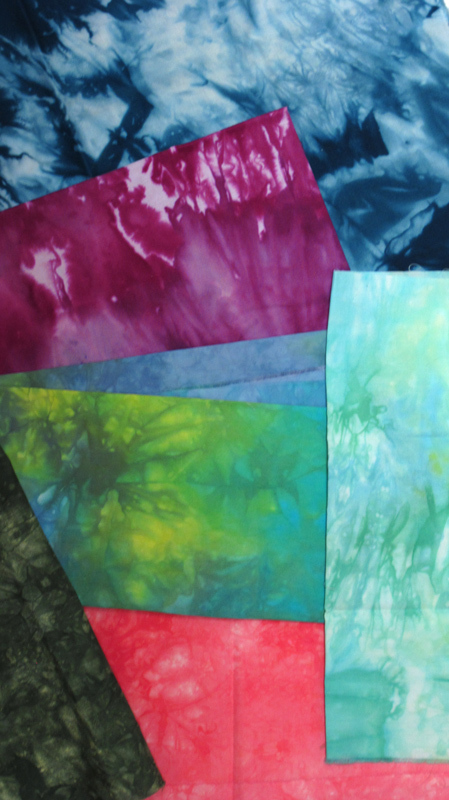 This workshop uses Procion MX dyes. 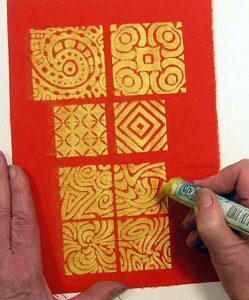 This is a great beginner art quilt project. Students will create a bouquet of flowers from large print floral fabrics and use free motion stitching to enhance the flowers and background. Simple quilting and a border complete the picture. Students will learn about focal points, composition, and balance while creating a simple bouquet of flowers. This bouquet of flowers will look wonderful on anyone’s wall. A lovely little gift to make for a friend (or to keep for yourself). Finished size of the project – Approx. 9” x 13”, but may be larger, dependent on the vase size and shape. Learn how to give your quilt those finishing touches that help to create a masterpiece. I would like to thank you for your lecture at the Kenora Guild Meeting the other night and let you know that I immediately tried your blocking technique on the Peace Rose wall-hanging as soon as I finished it. I wish someone had informed me of this technique years ago because it has changed my life. I was always just a little disappointed in the flatness and squareness of my quilts even when I became completely obsessed with sewing them square I was never quite satisfied after I had quilted them. The blocking technique has made the finished product perfectly square. 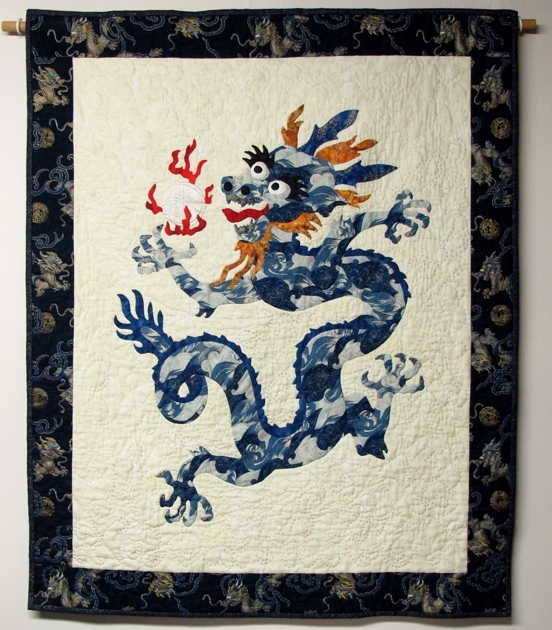 Do you want to send in an entry to a quilt show or other exhibit? 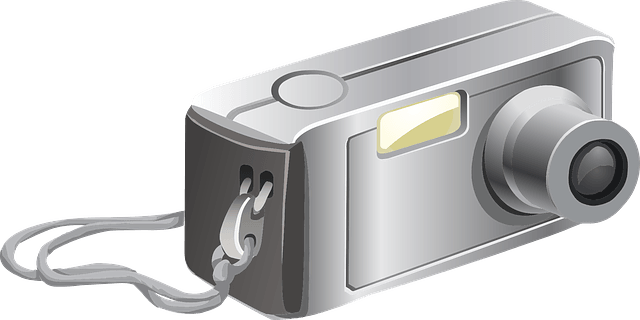 Would you like to have a photographic record of your quilts? 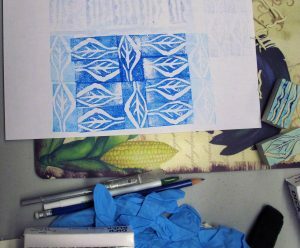 Do you want to take photos of your own quilts, rather than paying a professional photographer to do it? You can do it! No expensive equipment needed! 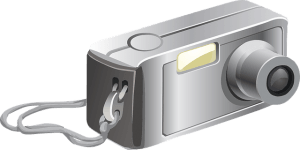 Learn all about the ins and outs of photographing your own quilts and how to get great quality photos. Students will practice taking photos of quilts during the workshop. 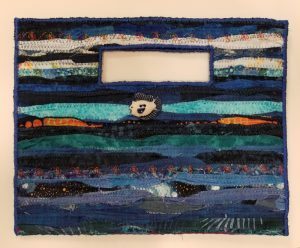 An engaging account of an art quilter’s journey from traditional quilts, to her current adventures in art quilting. Valerie will do a PowerPoint presentation, and bring a variety of quilts representing her journey. Need some tips and tricks for organizing your quilting area, storing WIP, fabrics and more? Learn how to get a stress free space for quilting. 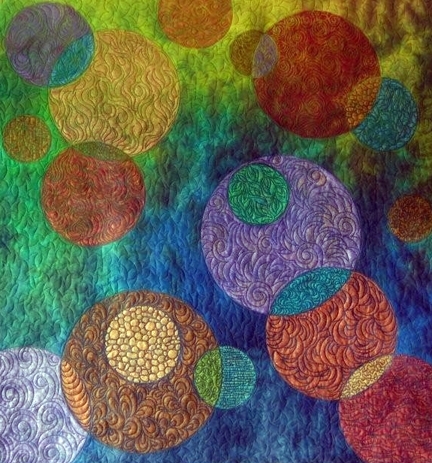 Valerie will present a selection of her art quilts and talk about her inspiration and work process. 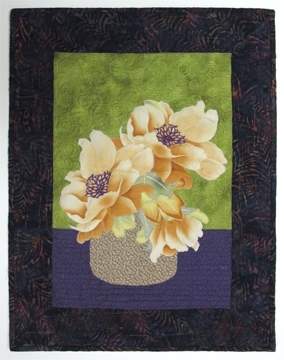 Valerie has been quilting for the last 15 years and combines her love of fabric with the themes of nature and people. She uses a fused collage style of quilt making. 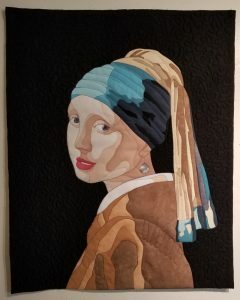 Valerie’s award-winning art quilts have been shown nationally and internationally and she is the Membership Coordinator for the Fibre Art Network, and the SAQA (Studio Art Quilt Associates) representative for Saskatchewan/Manitoba. Her current series of quilts feature vintage portraits. Check out Valerie’s work here.